We didn't stop at ONE, we went all the way to TWO! 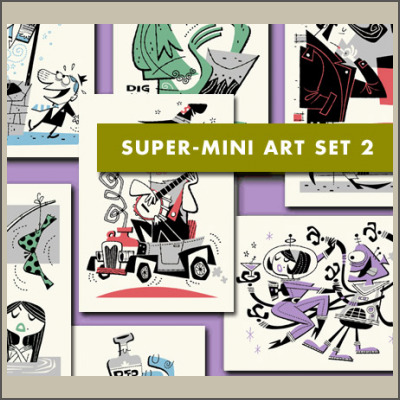 Introducing Super-Mini Art Set Two, a follow-up to the first set created by our own Derek Yaniger! 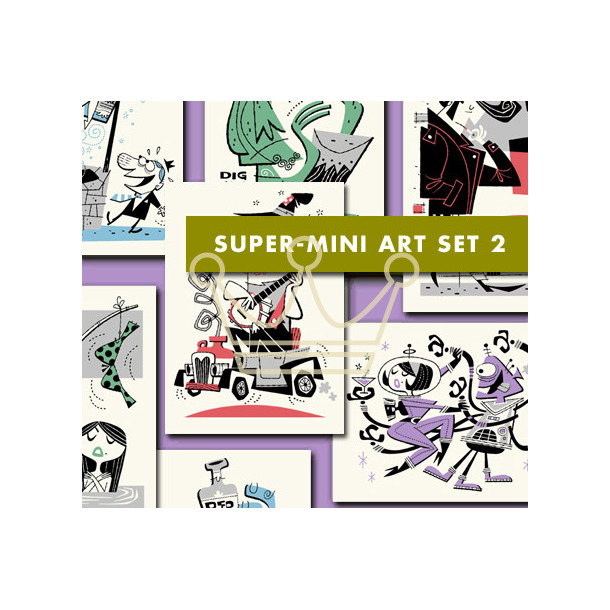 This set includes SEVEN different super-mini silk screened mini serigraphs, each is printed on ultra-heavyweight archival paper and measures 5" x 7" all signed by the artist.